December 1940. San Diego. 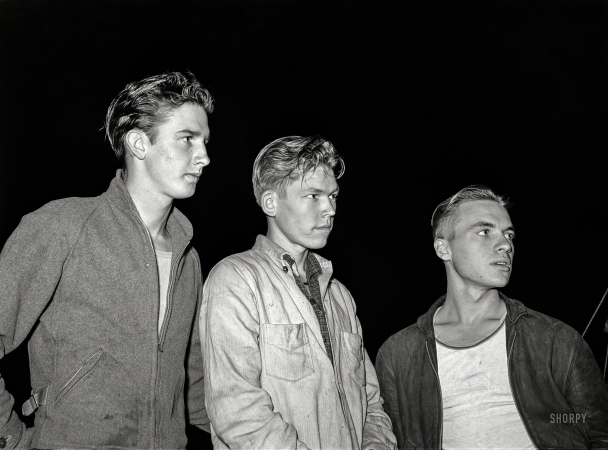 "Three boys from Los Angeles who are looking for work in an airplane factory."